Hard bound, 228 pages with 24 colour plates and 41 black & white plates. 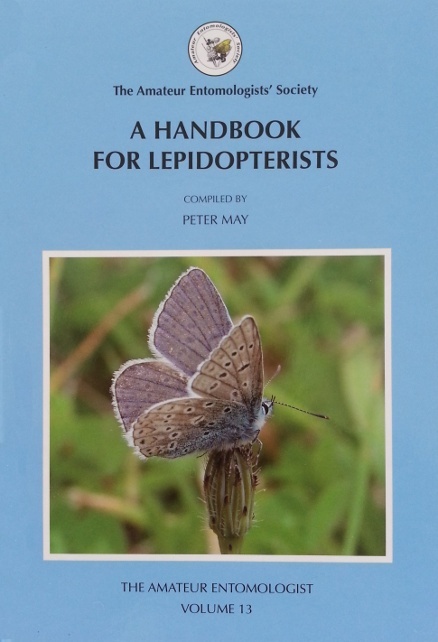 The latest edition of this handbook was compiled and authored by Peter May with contributions from Colin Plant, Mark Lightowler, Jon Cooter, Jacqueline Ruffle, the late Mike Majerus, Chris Harlow, Nick Holford, the late Malcolm Simpson, Zoe Randle and Richard Fox. AES members are eligible for a significant discount on this publication reducing the price to just £19.00. To obtain a discount coupon please see our Members' only area or contact us for details.